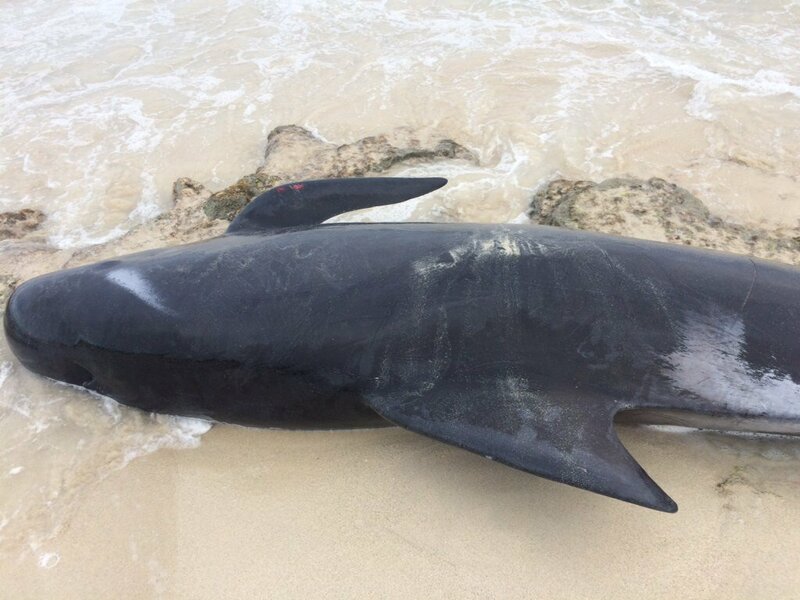 More than 150 short-finned pilot whales have stranded en masse at Hamelin Bay, 10km north of Augusta, Australia early this morning. Around 143 whales have died after beaching themselves. Parks and Wildlife Service staff are onsite and veterinary assistance has been organised to assess the health and wellbeing of the remaining live whales – 7 in total. 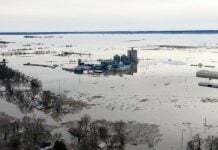 Support and equipment is being rushed to the scene to assist the rescue attempt to return the surviving whales to deeper water. 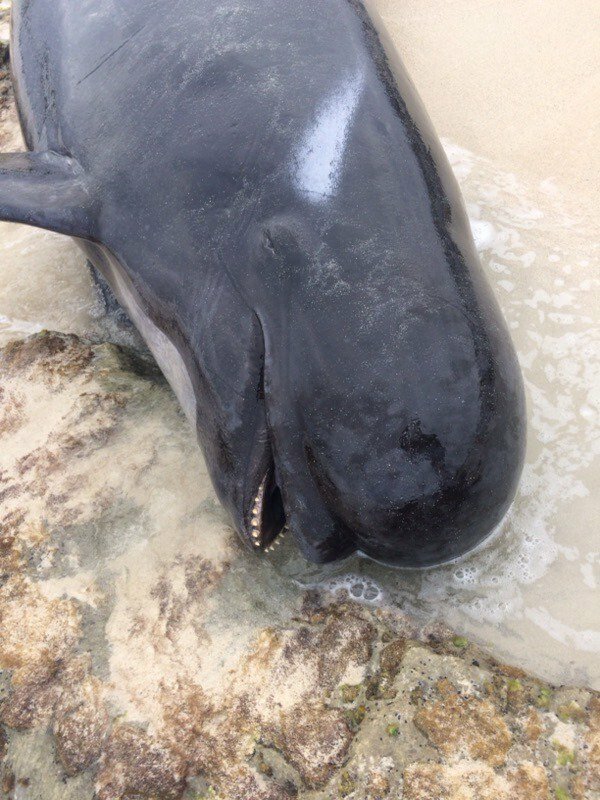 More than 100 volunteers are helping Parks and Wildlife Service staff with the care and rescue of the remaining 7 surviving short-finned pilot whales at Hamelin Bay. 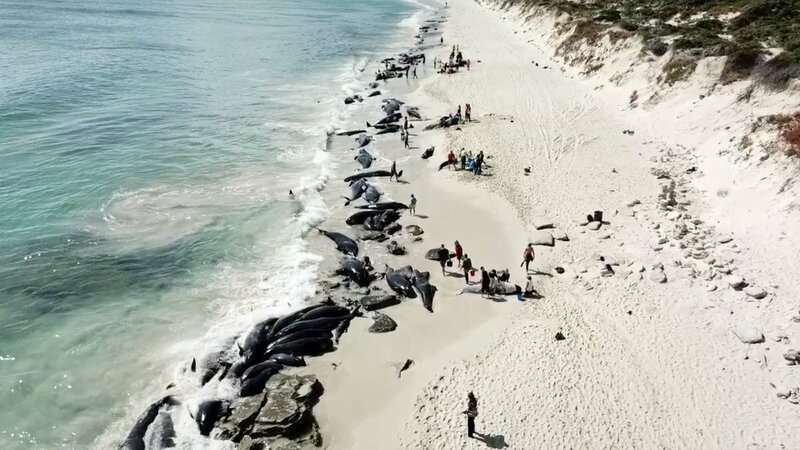 The seven whales are the only ones still alive following a mass stranding of 150 whales early this morning at Hamelin Bay near Augusta. Once we have moved the whales out we will monitor the situation closely as it is possible the whales will come back into shore and re-strand. 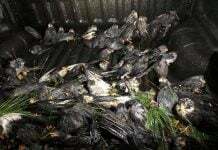 This has often been the case in previous mass strandings. 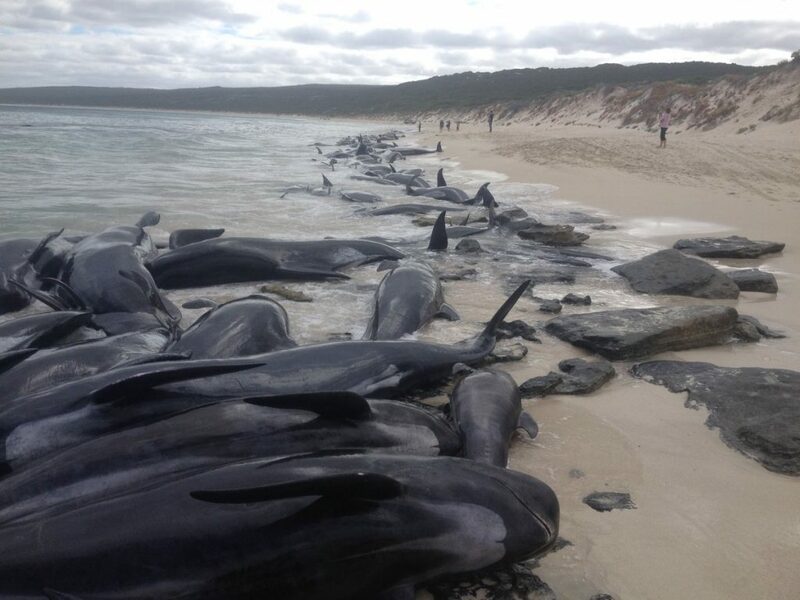 The department is working with the Shire of Augusta-Margaret River to remove the deceased whales from the beach. Parks and Wildlife Service officers are taking DNA samples from the deceased whales to try and determine possible clues for why whales stranded. Hamelin Beach remains closed from Hamelin Caravan Park to North Point including Grace Road and Reserve Road. DPIRD has issued a shark alert for the area. Short-finned pilot whales are closely related to long-finned pilot whales, although they have shorter flippers with less of an elbow. They are brownish-grey to black, with a pinkish-grey anchor shape on the undersides. They have a bulbous forehead, but the flippers are less than 18 per cent of the body length. Females are about four metres long and males approximately 5.5 metres. They inhabit tropical and subtropical waters and may be seen in the hundreds but groups usually number less than 100. They often strand en masse. Nine shortfinned pilot whales were found dead after stranding at Albany’s Ledge Point in November 1984 and 38 short-finned pilot whales stranded in April 1991 at Sandy Point, north of Broome, but died within a few hours. 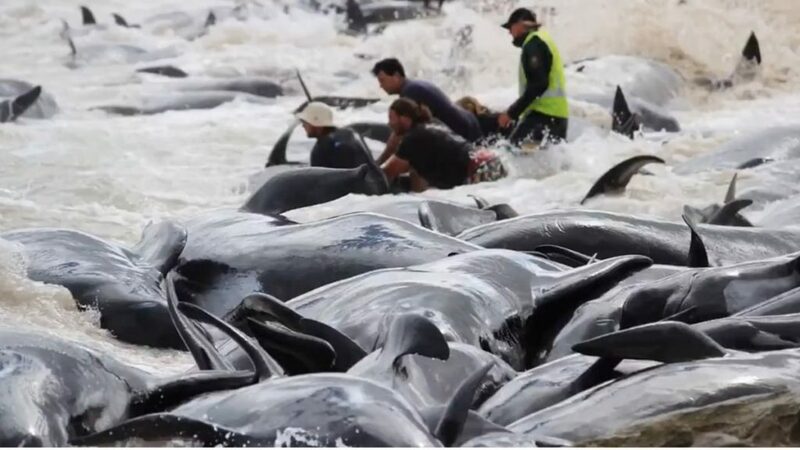 The largest mass stranding of whales in WA was in 1996 when 320 long-finned pilot whales stranded themselves in Dunsborough. Dolphins and whales are part of the Galactic Federation of Light members with the mission to protect the Earth. Dolphins are originally come from Sirius B Star System where water world dominates. More Info: Youtube: The Dolphin Collective / Reminder And Reflection Of The Moment. Some reptilians also have come from Sirius B Star System. When we lived in Tucker, Georgia, we went to Arabia Mountain. When we were lost and looking for the direction to Arabia Mountain, a car came and stopped beside our car. I saw a friendly black guy came out from the car, so I asked him the direction. On his side window of his car, there was a small sticker said “Sirius B”. Yes, he was an reptilian agent who has come from Sirius B Star System. Mainly, reptilians are from Orion, Hydra, Sirius B, and Alpha Draconis (=Draco Star System). Orion Star Belt (3 stars) is the major place where many kinds of reptilians are living. Some of them are very hostile, and cannibals. Especially Rigel area are dominated by those kinds of reptilians. This is the place you like to avoid to visit. Hydra reptilians create most problems on the Earth. Hitler & NAZI were all from Hydra Star System. Their famous symbol is the 8 beam star represent “Reptilian hegemony”. Draconians (=Draco reptilians) are from Draco Star System. Draconians are most vicious among reptilian species, and we have many of them shape-shifting into human figure on the Earth. In the US, we call a bad law, “Draconian Law”. Of course, they are cannibals, and think human as their slaves and food. All Royals in the world, and most of politicians and CEOs kinds of people are Draconians. This video is in English with Japanese subtitle. When we went to Arabia Mountain in Georgia, we encounter a young agent with a gun. At that time, it suddenly started stormy. In front of my eyes, suddenly a lightning stroke directly an agent with a gun. Then he screamed with a electric shock pain. It was horrified to see a young guy was shot by a blue beam lightning. But I know that lightning was from Galactic Federation of Light ship protecting me and my family. Around Arabia Mountain, there is a shooting range. As I mentioned before, most of parks including county parks, state parks, and national parks have military facilities such as shooting range and look out tower. Those parks are surface facilities of Reptilian secret underground bases. And of course, many people are missing from those parks mysteriously. Yes, those people are abducted by those reptilians as their food. When we lived in Tucker, GA, we encounter a reptilian manager working in Walmart in Tucker, GA. When I tried to return an airbed, a customer service lady called a manager. Then the manager came. He had 3 ridges on his head all the way from his forehead and back of this head. At that time, I did not know about reptilian existence on the Earth. But I felt “Oh, finally, I saw an alien working as a manager in Walmart!”. He looked quite handsome even with those 3 ridges. Next day, I saw him again in the Walmart. But surprisingly, he did NOT have those 3 ridges anymore! This means that he had the ability to shapeshift himself. When he passed beside me, I wanted to say something to him. I just joked “You look handsome.” , and he said “Thank you!”. I have found an article written by a Draconian Lady, with a prehensile tail, who has an opossum pet. She explained about a tail what is the similarity and difference between opossum and Draconian species. Her target readers are, of course, Draconians. The image on her article is human figure, but she is a Draconian (Draco reptilian) with a prehensile tail. This article has copy and paste of the original article in English. 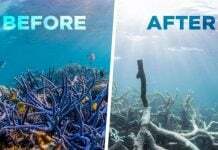 More things are happening on the Earth!